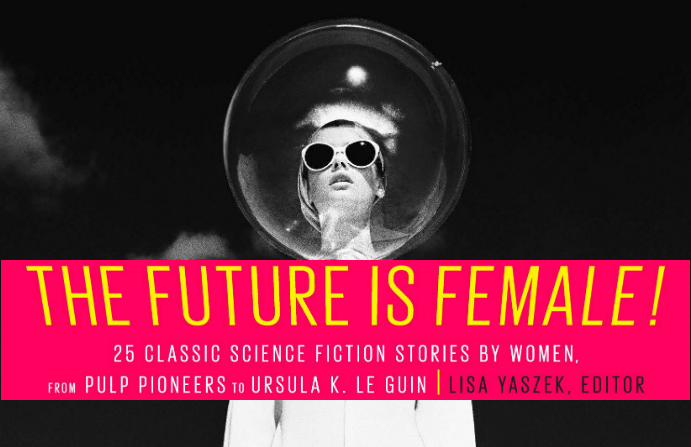 Science fiction scholar Lisa Yaszek's recent book The Future Is Female! 25 Classic Science Fiction Stories by Women, from Pulp Pioneers to Ursula K. Le Guin, is a secret history of women in science fiction, reframing the story of exclusion ("women weren't welcome in early sf writing circles") as one of erasure ("women made vital contributions to early science fiction, and these were systematically expunged from the record when the first wave of historical sf anthologies were published, as part of a backlash against first-wave feminism"). Yaszek's work is very personal to me, dealing extensively with Judith Merrill, the great feminist sf writer, editor and critic, who was my mentor growing up in Toronto. In a new interview with the Geek's Guide to the Galaxy podcast (MP3), Yaszek elaborates on her work and its ramifications for how we think about the story of the future.